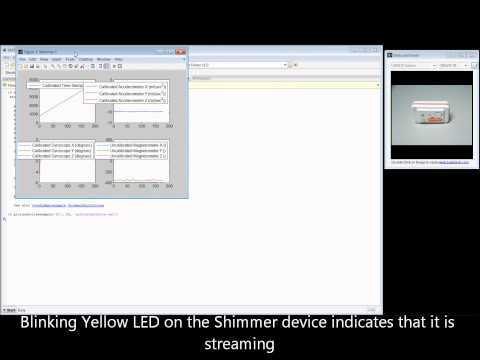 The solution will allow Shimmer users to stream data directly to MATLAB, and assist users of the Shimmer 2 and Shimmer 2r platforms in the development of Shimmer based applications in MATLAB. Shimmer users will benefit from MATLAB’s full range of tools including matrix manipulations, plotting of functions and data, implementation of algorithms, creation of user interfaces, and interfacing with programs written in other languages, including C, C++, Java, and Fortran. Version 1.0 is the first full release, and replaces the beta version 0.X which was initially made available for download. The Instrument Driver is designed to work with MATLAB 2008a (version 7.6) or later on a Windows OS (the library has been tested on Windows XP and Windows 7).